In 1996, Escuelita Nazareth Special Needs School began, and some of the original Olancho Aid mission teams helped make it possible! Team members traveled to Olancho, visited schools, and saw God’s amazing work happen before their eyes. As they ministered to poor communities, many decided to give financial support to the program and even to specific individual students. Several of these original donors are still sponsors today. In 2010, a formal scholarship program was launched so that more students, from the poorest families could gain access to high-quality, bilingual, Catholic education. Today, more than 150 students attend school thanks to financial assistance. Some children need full scholarships to cover tuition, materials, and transportation. Others need just one of these. Contact Scholarship Coordinator, Wendy Varela, to learn more about sponsoring one of the students below or another child in need. Henry is in third grade. He has two siblings and lives with his parents. His mother has been working as a custodian at Santa Clara for over 10 years. She needs help to cover the cost of his transportation and school supplies to ensure that he can continue his education. Karla’s parents are from a village about an hour drive from Juticalpa. A priest from the community saw potential in Karla and knew that an opportunity for quality education could change her life and the lives of her family members. He came to Olancho Aid and requested help. Karla was accepted into the scholarship program in 2015. She then moved away from her parents and into her sister’s home in Juticalpa to be closer to school. Arlis is originally from Tegucigalpa, where he struggled in school and his teacher suggested he had a learning disability. When Arlis was ready to begin 4th grade, his aunt, who lived in Juticalpa invited him to come and live with her so that he could get extra help as a student at Nazareth Special Needs School. When he began, he could not read or write, but miraculously, he learned very quickly in this new setting. His teacher discovered that the root of his learning difficulties was not a disability, rather he was being bullied at his last school. With extra attention and a lot of hard work, he graduated from 6th grade and is now transitioning to high school at Instituto Oscar Cardenal Rodriguez. 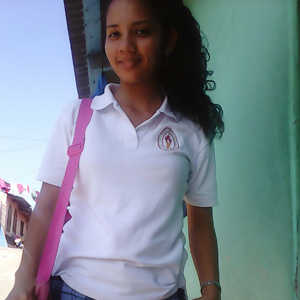 Linda is a student at Nazareth Special Needs School, the heart of the Olancho Aid Foundation. She struggles with a learning disability but has found a safe and loving environment at Nazareth where she learns skills that are important for her, and she learns them at her own pace. Because education is a right and a privilege. Honduras is the third poorest country in the Western Hemisphere, approximately 50% of the population lives below the poverty line. As a result, the public education system suffers from a lack of resources, high student-teacher ratios, poor teacher training, and little accountability. The government funds public schools through the sixth grade. However, many children are unable to attend even public schools because they cannot afford school supplies and the mandatory uniform; 40% of the population is not educated past sixth grade. Educating Honduran youth is an important step in economical development. An academic curriculum emphasizing social justice and strong literacy, math, and critical thinking skills will empower our students to tackle problems currently affecting Honduras and to work for change. Olancho Aid Foundation has demonstrated a commitment to educating Honduran youth for over 20 years. The costs to provide great education are high, thus tuition is necessary to offset the financial burden. The scholarship program allows children living in poverty to take advantage of the outstanding educational opportunities, even though their families cannot afford tuition. Sponsors are needed to make this extraordinary program flourish. Your sponsorship will allow a child to receive a quality education and in turn, give back to their country. You will be see a child’s life change as together we work to break the cycle of poverty. 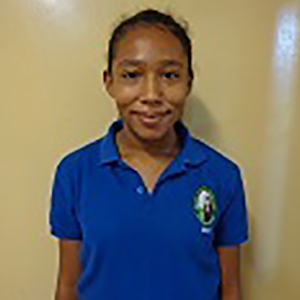 Aly began her studies at Centro Escolar Santa Clara when she was 6 years old. She lives in the village of San Francisco. Aly comes from a very humble family and has two siblings. Her parents did not have the opportunity to finish school because their parents did not have the means to send them. A parish in Ohio began sponsoring Aly so she could receive Catholic, bilingual education beginning in kindergarten. She and her parents wake up very early every day to be ready for school. Her father takes her 2.5 miles on bicycle to the bus stop and Aly takes the bus an additional 30 minutes to Juticalpa. 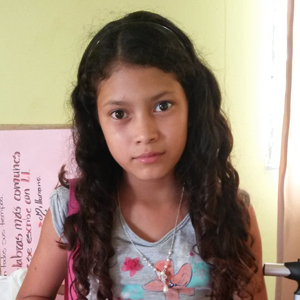 Even though her parents cannot help with homework (because they do not speak English), Aly is excelling in school. 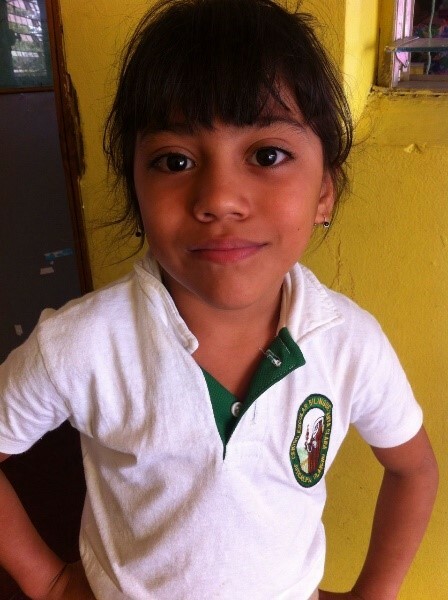 Sandra was introduced to Olancho Aid in 2008 and enrolled in first grade at Centro Escolar Santa Clara. She lived in a house with a dirt floor on property that her family didn’t own, located in an unsafe area. Sandra’s sponsors felt compelled to support more than education. They helped bring her to the United States for surgery to correct a debilitating hip deformation. Sandra stayed at their home and attended parish school while recuperating. Sandra’s sponsors worried about the family’s living conditions in Honduras and when a new baby was set to arrive, they knew it was time to take action. Early in 2012, they began raising funds for construction of a new home – a home with electricity, water, and septic. By mid-August, Sandra and her family moved into the home and Sandra had her own bed. Today Sandra is in 9th grade and her little sister in kindergarten. In 2005 Sindy was 12 years old when her mother decided to pull her out of a public school; she was not learning enough because of her hearing impairment. Her mother had heard about Escuelita Nazareth and together they came to the school asking for an opportunity to be enrolled. When Sindy began school at Nazareth, she lacked understanding of her own identity due to the communication void with her parents. After two years at Nazareth learning sign language with her teacher, Sindy started to understand her origin. She knew her family’s name and hers as well. One on one instruction with teachers at school led to great improvement with her vocabulary and development. She graduated from 6th grade in 2012. Her generous sponsors chose to continue supporting her education when she enrolled at a local high school. Sindy’s desire to overcome is driving her to graduate and achieve her goal; she wants to be a teacher and help children like her. Despite her disability, Sindy is one of the best students in class. Currently, she is in 11th grade and, will soon graduate with a diploma in computer technology. 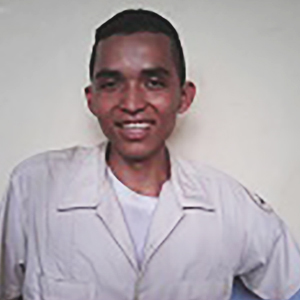 Yeltsin is a young man who comes from a small village near Juticalpa called La Puerta. He had his arm amputated due to a disease that also caused heart damage. With the help of the Bishop Muldoon he had the opportunity to visit the US for a surgery. During that time he was introduced to the community of Trout Lake, Washington. Members of the community took to Yeltsin and considered him a friend. They decided to sponsor him, and his twin sister at Cardenal High School. Yeltsin started school 6 years ago. Currently he and his sister are living in Juticalpa in an apartment that their sponsors provide. This community from Trout Lake supports them in every way including internet at home. This investment in an individual embodies the goal of breaking the cycle of poverty, one child at a time. Contact Wendy Varela to discuss how you can support one of our students. 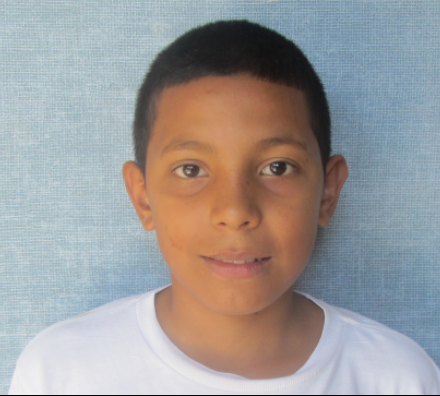 Why sponsor a child through Olancho Aid? Olancho Aid is a Catholic organization that is helping to end the cycle of poverty through education in Honduras. By sponsoring a child you are changing the life of one of God’s children forever, providing them the skills they need to improve their own lives and the lives of others. Who are the children that need scholarships? Scholarship recipients come from impoverished families who do not have the means to pay for education. Some families are even unable to purchase shoes or uniforms, which prevents them from attending public or private schools. Scholarship costs range from $10 to $225 per month. Some children do not need the full tuition. Their families may be financially able to pay part of the tuition but may need assistance with the remaining portion. Your donation covers the basic cost of attending school. You may also donate additional money directly to the family to cover things such as books, school uniforms and school supplies. Scholarships go to our schools to pay employees’ salaries, supplies used in the classrooms, and other basic needs of the school. 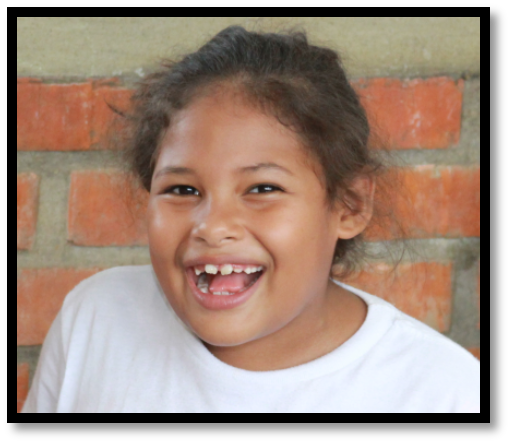 While Olancho Aid requests a minimum one-year commitment, it is our hope that the sponsor will consider committing to a child for the duration of their schooling, to ensure their ability to finish their education. Can I support the program without sponsoring a child? Yes. We gladly accept donations for the scholarship program. These funds are very helpful because they cover the cost of transportation, uniforms and books for the children. Can I meet the student I sponsor? Yes. 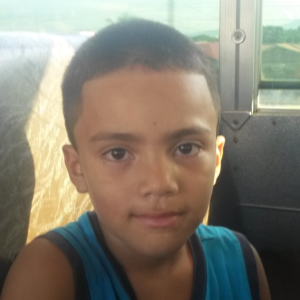 Olancho Aid encourages all sponsors to build a relationship with their sponsored child. The work of God is highlighted between the interactions of two families with different backgrounds uniting for one common goal to end the cycle of poverty through higher education. Current sponsors have had the opportunity to meet their students and their families, interact with them in the classroom, and even attend their First Communion. Are the children’s guardians involved in the program? Yes, the guardians must agree to several conditions prior to OAF awarding a scholarship to the child. First, the child must attend school every day unless there is a legitimate authorized excuse. Second, the child must abide by the behavior standards established by OAF. Finally, the child must maintain a seventy percent (70%) average in all subjects. If the these conditions are not met, OAF will revoke the scholarship.